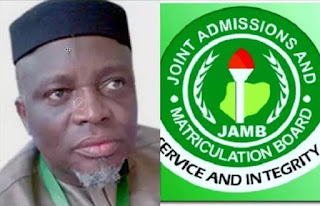 The Registrar of the Joint Admissions and Matriculation Board (JAMB) Prof. Is’haq Oloyede has described the huge difference between the revenue generated by the board in 2017 and that of his predecessors as a reflection of chronic corruption in the system. He pointed out that since the inception of the admission body over 40 years ago, the total money generated were just N52m (fifty-two million naira) while the board, under his leadership, generated N9bn in 2017 only. Oloyede made this disclosure in Osogbo, the Osun State capital, while speaking as Lead Speaker during the 3rd Colloquium to celebrate Governor Rauf Aregbesola’s birthday, organised by Raufnomics Transformation of Osun, a socio-political group. He also explained that the downward review of JAMB cut-off mark is a necessity caused by the need to curb inequality, by giving level playing ground to applicants. “After we finished our examinations for 2017, we generated N9bn, in which I returned the total sum of N7.8m to the Federal Government. “Members of the National Assembly marveled at this feat, they wondered how I came about the figure. “For this year also, I have realised over N9bn,” he declared. Oloyede, who spoke on the theme: “Functional education as a tool for national development and a gateway to freedom” noted that education remains the bedrock of every nation. He argued that education is essentially the main process through which a society regenerates itself, and hands down norms, cultures, and also generates wealth. “You don’t need to use bomb to destroy a nation, just lower the quality of education and allow cheating by students in examinations. “Education, being the art of acquisition and utilisation of knowledge is also an instrument in training individuals purposely to make them socially responsible. “Functional education must geared towards the liberation of humanity from poverty and misery.